Always available energy stock! 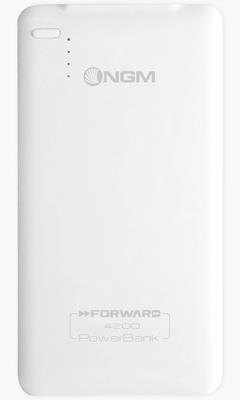 Extremely compact and lightweight, Forward PowerBank is a USB device with a built-in rechargeable 4200 mAh lithium-ion battery. 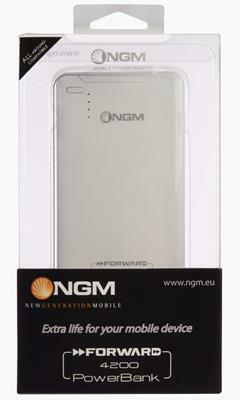 So small and lightweight (only 100gr) that you can comfortably carry it in a bag or even in your pocket, PowerBank 4200 can provide new charge to smartphones, tablets, handheld game consoles, MP3 players and any other device that is rechargeable via USB. 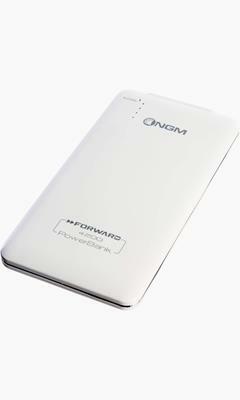 PowerBank 4200 first needs to be recharged; this operation is carried out through the included USB cable (USB-A to Micro-USB), by connecting the device to a 1A charger, a USB port on your PC or to a USB car charger. PowerBank has 4 blue LED lights that will indicate the level of battery charge after pressing the power button. Less residual energy is available if less blue lights are on. If only 1 led is on, the remaining charge is less than 25%. A complete charging cycle requires about 4 hours. 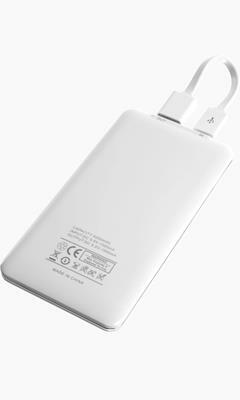 To charge up your smartphone or any other USB-rechargeable device, simply connect the USB connector of the supplied cable to PowerBank and the other Micro-USB end to the mobile device.